Early evening, an apartment in Bethnal Green, garishly decorated, St Cecilia in her early 30s, hair in curlers, slouched on a couch. She sleeps, lightly dozing and, touching her body, stirs. The television is on, turned very low, with music playing, and the blue TV light is on her, adding to the soft evening twilight filtering through an uncovered window. She turns, then sleeps a bit longer, rolling over on her side, head on her arm, one foot crossed back on the other, hand under her chin. She wears a blue kimono with a crane pattern in gold. She turns again, now with her back to us, the crane pattern bold across it, the bottoms of her feet dirty, and then she sleeps again, her side rising and falling in rhythm with her breath and with the music. Shortly, she wakes, turns partially back to us, brushes the hair from her face, and drags a finger across her eyes. Still sitting on the couch, she stretches, cat-like, and begins to sing. When she sings, it is not with a human voice, but rather with a full ensemble of instruments, the sound issuing from her mouth but with a supernatural presence. She rises from the couch, continuing to sing. As she walks to the stage left, each step she takes, each object she touches - the arm of the couch, a lamp, a chair - makes a beautiful sound in perfect counterpoint to the music. The romance of St Cecilia begins with Cecilia as a young girl, born into a noble Roman family, promising her virginity to God. Her family, against her wishes, arranges for her to be married to a Roman nobleman by the name of Valerian. During the wedding banquet she sings a song to God, quietly, to herself, and is provided an angel, a guardian to preserve her chastity. This very angel appears to her and her husband, hastening his conversion to the faith and his respect for her continence. Unfortunately for them, the husband's faith is an active and proselytizing faith, bringing him and his brother to the attention of the prefect, Turcius Almachius, who orders the two men to be executed. The power of their convictions converts the first executioner sent, but not the second, who dispatches all three. When Cecilia buries the three men, in a Christian manner, she herself is condemned, locked into a sealed sweat room, the fires stoked to maximum intensity, and is left to die. As we might expect knowing her exalted state, when the chamber is opened she is found quite alive, in aspect of prayer, with nary a bead of sweat to mark her brow. As is typical in these stories, such supernatural events serve only to anger the brutish prefect, who orders her head removed from her body. 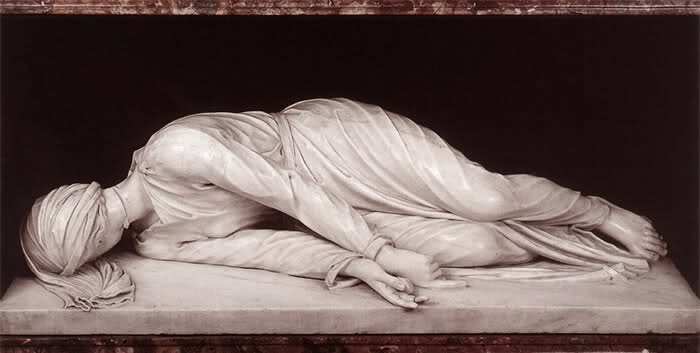 After three blows are attempted, the maximum the law allows, Cecilia, although bloodied, still lives, sending the executioner fleeing in fear in the consideration of his brazen act against the divine, and Cecilia is left, praying and teaching to her fellow Christians until her death three days later. Over the centuries, her relics are exhumed and reinterred on a great number of occasions, each time found to be incorrupt and with, on one hand, three fingers outstretched and, on the other, one finger, denoting her belief, even in death, of the mystery of the Trinity. Tony Kushner, best known for his lovely play Angels in America, was commissioned by the San Francisco Opera in the late 90s to write a libretto for an opera by Bobby McFerrin. He chose to adapt Heinrich von Kleist's St Cecilia. When I first heard of the project, I was quite upset. I hadn't been asked to do this music for this project even though I was an actual opera composer, not merely a famous person brought in to boost ticket sales, and in fact had made copious notes for an opera on this subject. Unfortunately, it put me off the whole deal, which is too bad since, in the end, Kushner finished the adaptation but McFerrin bailed on the project.